Tedeschi and Trucks performing at the Fabulous Fox Theatre. Photo by Keith Brake Photography. “The Wheels Of Soul” tour, the name really does say it all, and this past Thursday (7-26-2018) Saint Louis was treated to some amazing music. The Fabulous Fox Theatre was the setting for the event and filled to near capacity with fans ready for some Blues, Soul and Rock and Roll. 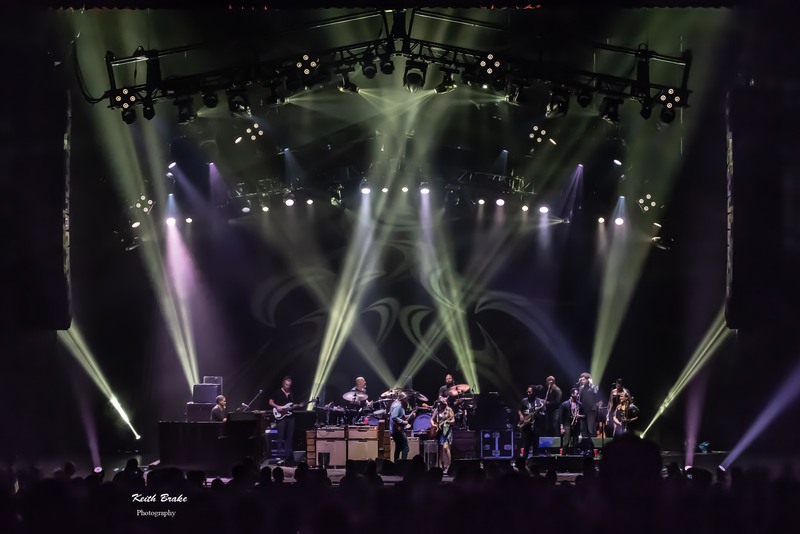 Headlining the festivities for the evening, Tedeschi Trucks Band with support from the Marcus King Band and Drive-by Truckers. Tedeschi Trucks Band performing at the Fabulous Fox Theatre. Photo by Keith Brake Photography. Any good music lover knows that Soul, Blues and Southern Rock are steeped in the same pot and when you find talented musicians that can put a little of each element on display it can almost be a religious experience. Taking the stage first was The Marcus King Band; this was my first time seeing them live and they delivered. Learning prior to their performance that they are signed by Warren Haynes (guitarist/Alman Brothers Band, Guitar-Vocals/Government Mule) heightened my expectations and I was not disappointed. Marcus King can play a guitar, and I mean PLAY. The powerful, soulful guitar style King puts on display is almost a window to his soul and paired with a vocal range and style tailor-made for Blues and Soul he is truly a pleasure to watch. King will remind you a little of Stevie Ray Vaughn mixed with a little Warren Haynes, both musically and in appearance. The Band as a whole are smooth and in time, a perfect accompaniment to King. One should make a mental note of The Marcus King Band and go check them out when you have the chance. 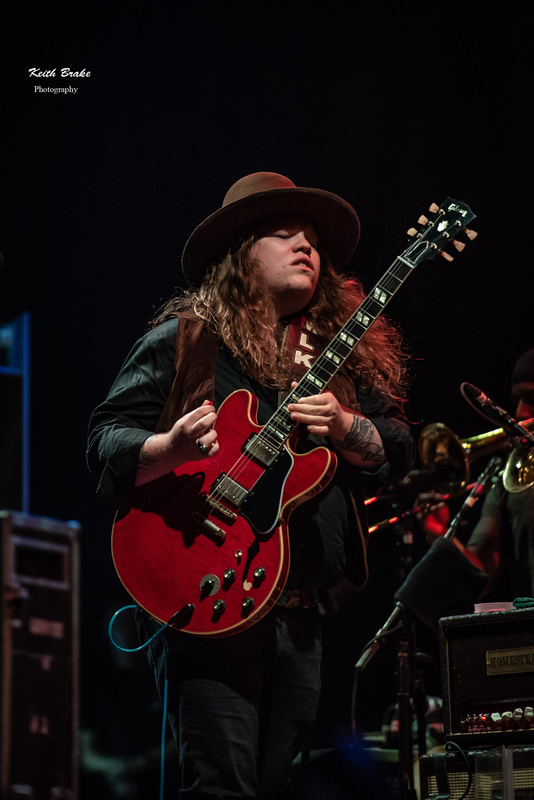 Marcus King performing at the Fabulous Fox Theatre. Photo by Keith Brake Photography. 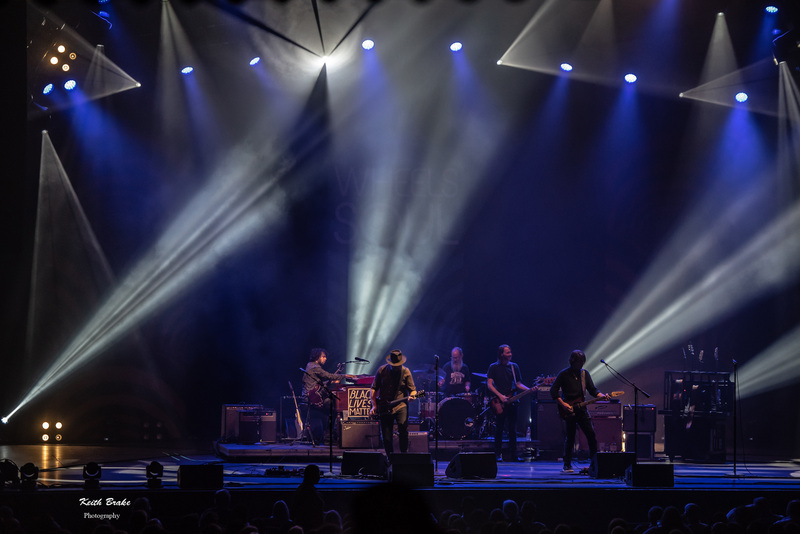 Following King’s strong opening performance, Drive-by Truckers. This group first hit the scene in 1998 and later released their first album Gangstabilly. Some of you may be thinking “Is this the group Jason Isbell played with?” Yes, Jason was with them from 2004-2007. The boys from Athens, Georgia took the stage in a shroud of moody, blue light to a very warm ovation. This group is an interesting listen as they meld rock, country and elements of conceptual music into their set. Patterson Hood (Guitar/vocals) and Mike Cooley (Guitar/vocals) have a unique and powerful way of transitioning back and forth between lead vocals and harmonies as well as guitar duties, this creates an interesting flow for their live performance. Hood is more the storyteller of the band engaging the crowd and in some selections he presents the content of the song as spoken word over soft music rather than full breasted song. The Truckers have a long and storied history and if you are unfamiliar with them I recommend making some time to change that. Drive By Truckers performing at the Fabulous Fox Theatre. Photo by Keith Brake Photography. 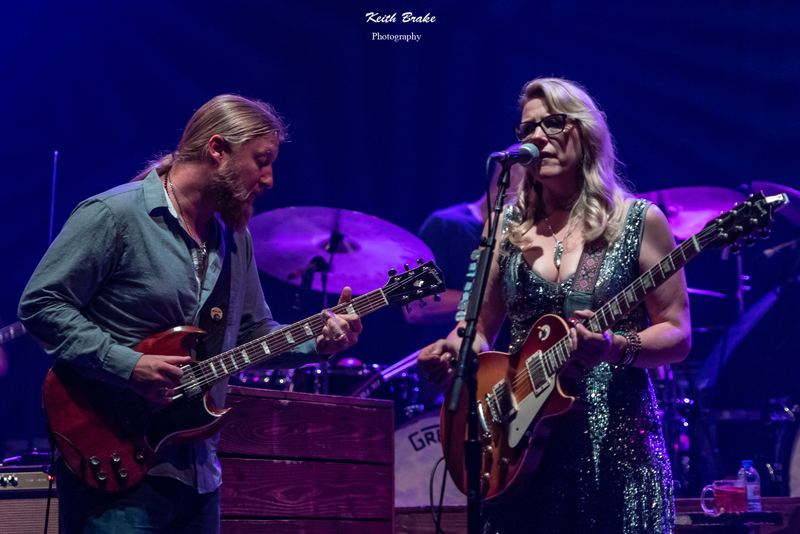 Tedeschi Trucks Band, if you are familiar with them you understand what those two names represent; power, soul, precision, passion and most often near perfection. 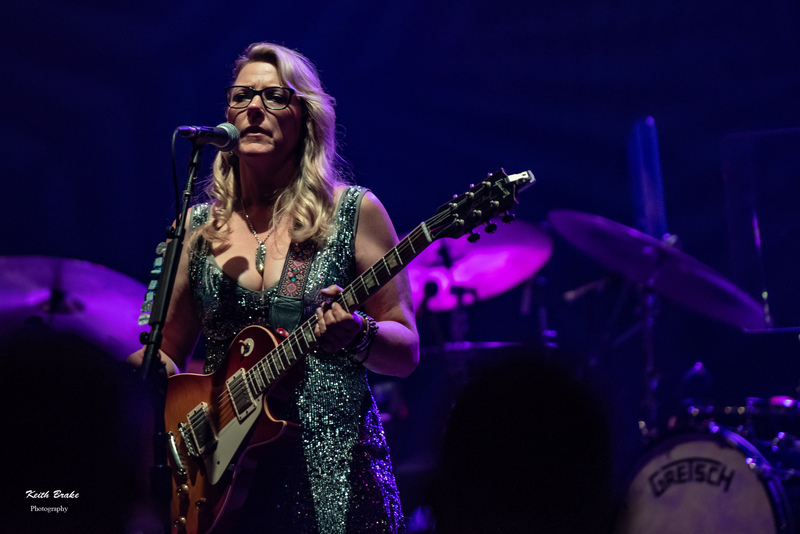 When Susan Tedeschi and Derek Trucks (accompanied by a full horn section, pianist, backup singers, percussionist, drummer and bassist) the Fox Theatre crowd went borderline berserk. Fans nearly leapt to their feet in excitement for what was about to come. When it comes to soulful, sultry, powerful vocals, Tedeschi delivers in every single way imaginable. To hear Susan speak one would never imagine such a voice could come from such a soft spoken person, but it is truly magical when she belts out song after song. Alongside Susan is her Husband lead guitarist, Derek Trucks. Derek has grown up with music in his heart and soul and it shows when he plays; to watch Trucks play slide guitar so effortlessly and so perfectly is almost like witnessing a natural phenomena. The large band comes together seamlessly and their prowess for live performance is impeccable, they deliver near perfection every number. This group is, in my opinion, the perfect meld of Soul, Blues and Southern Rock; to listen to Susan’s amazing vocal accompanied by Derek’s virtuoso guitar is nothing short of religious. The highlight of the evening for me was when Marcus King joined the stage and sat in for an unbelievable performance of “The Sky Is Crying”, a song originally performed by Elmore James and famously covered by Stevie Ray Vaughn. One thing is certain, both Elmore and Stevie would have approved of this version of an already amazing song. If you like Blues, Soul or southern rock I would consider this tour a cant miss, must see event. With that said this tour comes to an end on 7-29-2018 so I would recommend keeping your eyes open for future dates. Be sure to check out the photo gallery and leave me a comment below the photos. As always, thanks for the continued support.